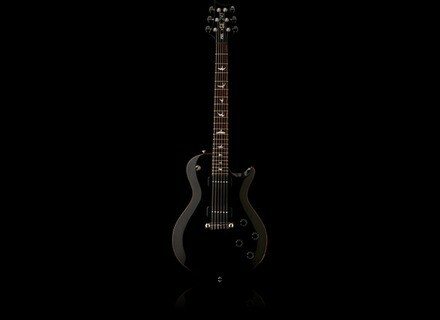 SE 245 Soapbar - Black, LP-Shaped Guitar from PRS belonging to the SE 245 Soapbar model. Paul Reed Smith reintroduces in the SE electric guitar line the Soapbar sound with the new SE 245 Soapbar. The PRS SE 245 Soapbar is available in two Black and Tobacco Sunburst finishes. More details on www.prsguitars.com. [NAMM] 2 PRS Neal Schon Signature guitars Journey guitar player Neal Schon signs the two NS-14 and NS-15 semi-hollow body guitars with Floyd Rose at PRS. [NAMM] Randall launches the RG Series guitar amps Third series to be be introduced by Randall at NAMM 2013, the RG line features 8 solid-state amps, including 3 heads, 2 combos and 3 cabs. [NAMM] Railhammer adds the Chisel Neck pickup After the bridge version launched last autumn, Railhammer announced the neck version of the Chisel guitar pickup.